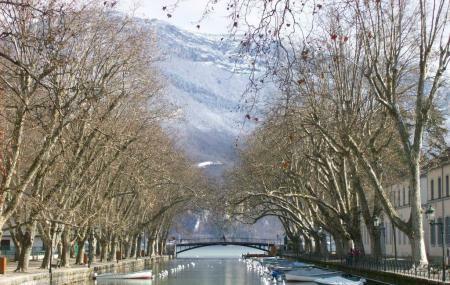 Pont des amours commonly known as Lovers Bridge is a beautiful path built across the lake. The bridge was constructed during 20th century and has been believed that a kiss in the middle of this bridge hooks you with that person you kiss, for life. The bridge easily passes as a perfect spot to spend a romantic evening with a partner. Besides these superstitions, the scenic beauty this bridge exhibits makes it worth the visit. Do not litter or lean too low when on the bridge. How popular is Pont Des Amours? People normally club together Church Of Saint Francis and Conservatoire Art Et Histoire while planning their visit to Pont Des Amours.